a lack of severe behavior or temperament that needs serious psychological help. The six things above are enough to make progress. Following an initial meeting and some data gathering, possibly from interviews with those you impact and a 360-Leadership Assessment, we will make progress in the following way. 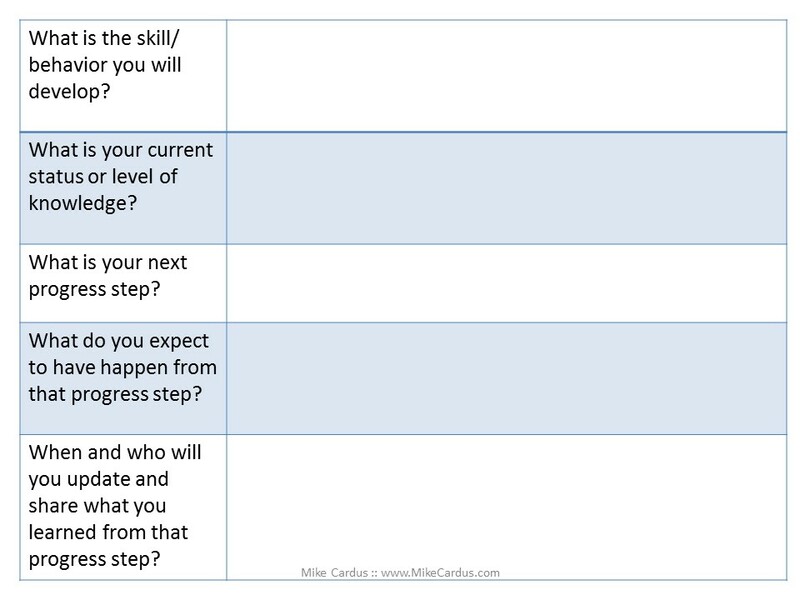 Based upon our discussion to this point, the feedback data we discussed, and you read, what is one area of your leadership you want to make progress on? On a scale of 1 – 10 with 10 being you are the best in this area and 1 being the opposite; where are you currently? What are some examples that place you at the current number you chose? How would others notice your current progress? Thinking about the leadership area you want to make progress on, on the same scale of 1 – 10 with 10 being you are the best in this area and 1 being the opposite; how good do you need to be to know that you are making a difference? Looking at your current number X and your need to be X how will you be different when something changes? Who will notice the differences first? What will they notice? In the follow-up meeting review the document and support your progress. Create a process that is built upon daily habits of increasing what is working and decreasing what is not working to achieve your goals.